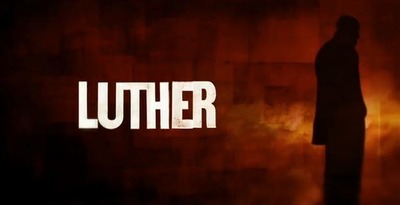 We were recommended Luther, so I got the box set. We watched the first 5 episodes but my partner deemed it 'too creepy and sick'. I will continue to watch it by myself, but more because I always have to get to the end of something, rather than because I'm loving it. Do you watch it? Do you like it? It was a great show, as are ALL the drams’s from the U.K.
Never heard of it. What is it about? Is Luther a 'dark' cop? Bryony.....Yes, he's an Afro-Caribbean actor! But his character is 'troubled', if that's what you're asking! Have you not watched much tv in the last 'few decades'? You seem to miss many, many shows! I very rarely watch new shows, but stick to my old favourites. In many cases I would have heard of them even if I don't watch them, but I've never even seen Luther listed on the T V schedule. No I have never seen it. If it is quite dark.....I will give it a Big miss. I need more up beat stuff now.Even the name of it, gives me the total creeps.! Oh! Jonah, 'Tis a shame! You're missing out on one of THE best UK cop drama's. 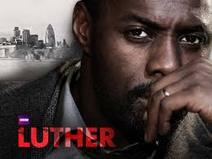 Idris Elba is superb as Luther. jonaj, bee autocorrect snuck in.......sorry! Absolutely love it! The qualities' of ALL about it are excellent! Idris Elba's first tv series was 'Ultraviolet' which starred 'our' Phillip Quast & the late Corin Redgrave. Another good show was 'Bad Cop' with actor Warren Brown, who was 'shot' in 'Luther's Series 1. He was also in another cop show, its' name escapes me, but premise was group of undercover cops 'take out' baddie BEFORE he commits the crime! His boss was beautiful actress, Gina McKee, who was in 'Forsyte Saga' remake with Damian Lewis. Can't beat the Brits for good, 'dark' drama. Although the Scandinavians' can come up with some good 'plots'!